There are few things that I miss about my previous one bedroom roach-ridden apartment back in Lubbock. The rent was cheap, and it was obvious why. But, I had some good times and some good memories from my days there. One of the bright spots of living there was the people I met. There was Mary who lived above me who was always so kind and concerned that she didn’t make too much noise. There was Mike, the drunk who lived a few doors down who always sat outside his door in a chair and nearly always asked me what my name was since he’d forgotten it again. He moved away later to go into rehab, so I hope he did get some help. There was the other Stacey and her little son who lived diagonally across from me. She always seemed to have cats who would sit in the window and stare at you as you walked by. Then, in apartment #135 there lived a very sweet gentleman in his eighties. I first met him as I would go in and out of my apartment, and he’d wave from the park bench where he usually sat outside. This gentleman, Grandpa Dalton as I began calling him, became a very bright light in my life in the three years that I lived at that apartment complex. Sometimes all he really wanted was for someone to sit next to him on the park bench and listen as he told stories about his life as a WWII and Korean War veteran and then later as a successful business man. He also talked about some of the not so great times in his life but never went into too much detail. He was so often ignored by the other people who lived there, that it made him so happy that my brother and I would sit and chat with him. What a treasure those people who ignored him missed out on! He was of the older generation who knew how to make a girl feel special. He once told me that if he were 30 again, he’d try to marry me. He laughed as I blushed a deep red. Then, he leaned in close and told me not to settle for just anyone, “It’s not worth it.” he said as his face looked sad. I looked at him worried, and he just chuckled and said it was nothing for me to worry my head about and just to get my education. He then gave me a kiss on the cheek and chuckled some more. One day, Grandpa Dalton waved for me to come over to his apartment. 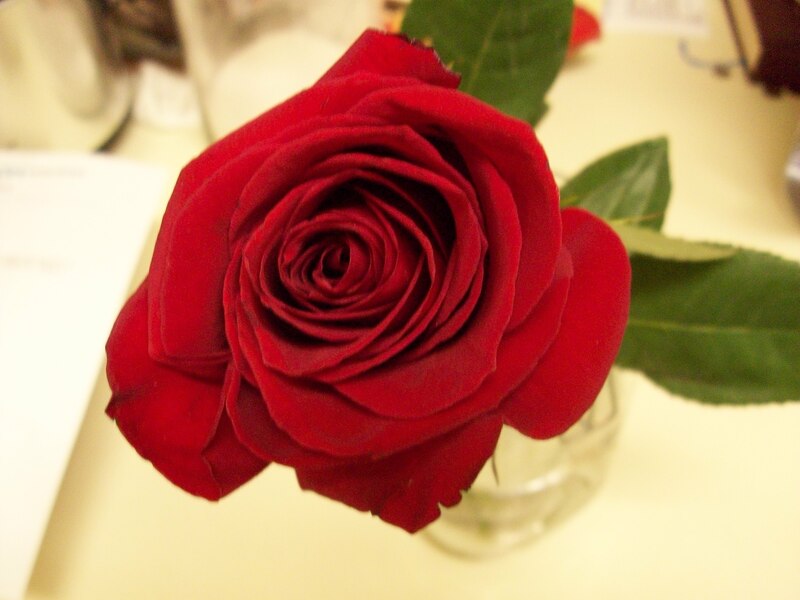 He had the biggest grin on his face as he gave me a beautiful red rose. 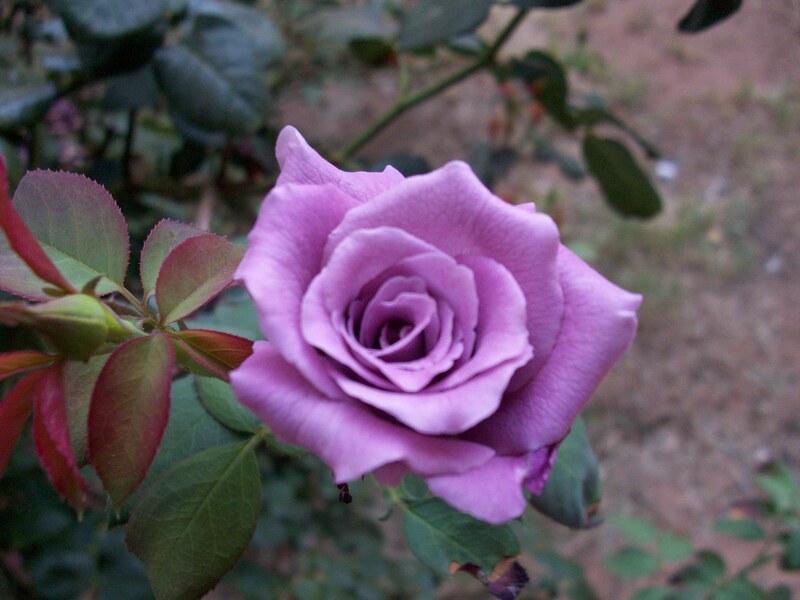 “Here, a beautiful rose for a beautiful woman.” he said with a chuckle. I looked at him shocked and asked him if he sure that he wanted to give it to me. He said that it would hurt him more if I didn’t take it. I don’t think I stopped smiling for the rest of that day. This began a tradition that went on for the next two years. 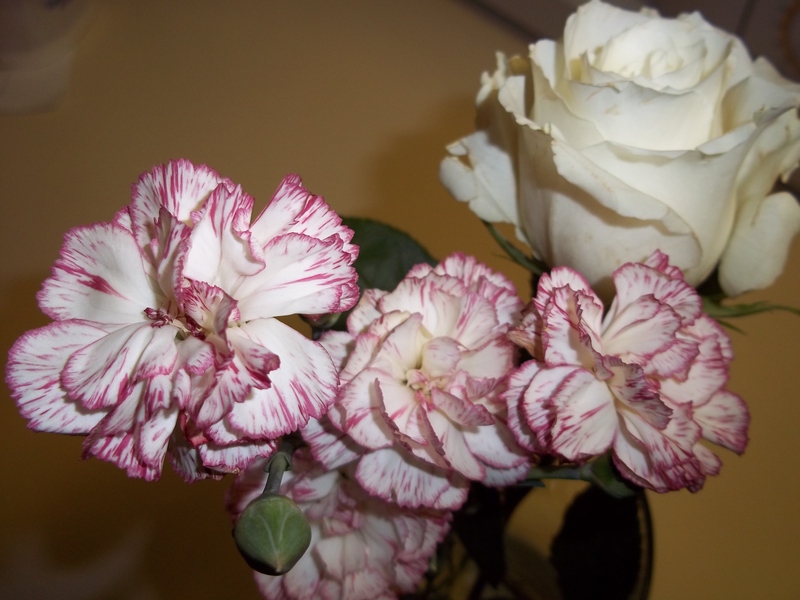 Just about every Friday, if the weather permitted, I’d hear a familiar knock on my door, and there would be a smiling, chuckling Grandpa Dalton standing there holding a flower or two. Grandpa Dalton told me someone else gave him the flowers but that he liked seeing the smile on my face, so he wanted me to have them. One of the last visits from Grandpa Dalton before I moved. This dear Grandpa Dalton daily humbled me through his kindness and selflessness. One time he tried to sing “Be My Love” as I opened the door, and he told me that he used to sing and play the piano. “You know, there’s a lot of things I used to do that I can’t do anymore.” he said looking rather reflective. I wondered what memories must have been coming to mind because he looked sad for a moment, and then smiled really big and told me that he’d been practicing those French words I’d taught him. Another time when I opened the door, he told me that I had such beautiful lips he wondered if he could kiss them. My mouth dropped open, and I just stared at him with a look of shock, and he died laughing and said “Oh, haha, maybe I was a little too forward there, darling. Sorry.” I could tell so many stories of his many weekly stops to check on me and how much they meant to me. He could always tell if I was sad or overly tired. He told me over and over to slow down and enjoy life as he patted my cheek. I should be better about taking his advice. I hated to have to tell him back in April that I was going to be moving. He was hard of hearing, so I had to write that I was moving on the notepad he carried around. Oh, how he choked up. He looked so sad and told me how he hated to hear that but at least he’d have until July. The last day I saw him he hugged me and told me to take care of myself, and that he was sure going to miss me something awful. 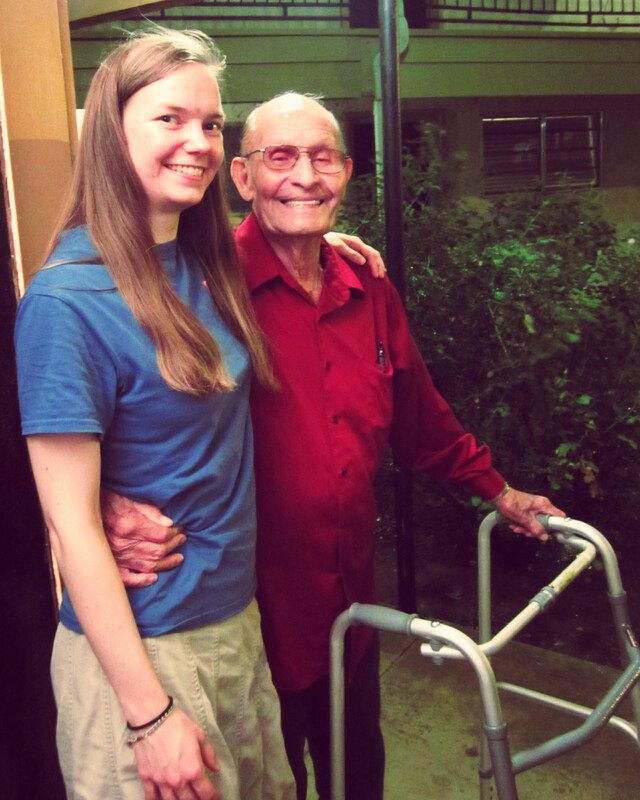 It brought tears to my eyes as I saw him walk off leaning on his cane as I got into my packed car to carry the last of my stuff to my parents’ house shortly before the big move northward. After I moved, Fridays just have never been the same. He and I write letters now. It sounds old-fashioned maybe, but there’s just something special about writing letters that just isn’t the same with an email or text. Perhaps it’s because one actually sees someone’s handwriting and the personality in their unique way of writing. Oh, what a happy day it was when I got his first letter after I let him know that I was getting settled to my new life.His handwriting is a little shaky, but I can just nearly hear his voice as I read it. I got behind on writing letters when school and life became so busy recently. 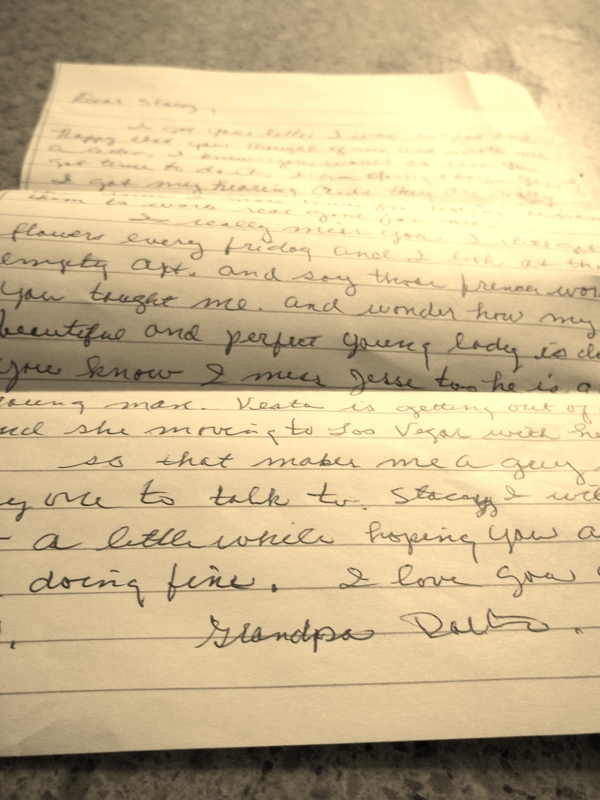 Then, I got a letter yesterday that about made me cry. He was worried since he hadn’t received a response in a while and was holding a beautiful big rose that he’d gotten wishing he could give it to me. I sent him a reply this morning, but I couldn’t stop thinking about him all day, so I just wanted to devote a post to my very special friend in Apartment 135. How very, very thankful I am for a friendship that is still intact despite the miles that separate us. Letters can’t exactly replace flowers, but at least you still get that same warm feeling deep down that you are loved just like when someone gives you flowers.